If right-wing hate propagandists are manipulating the Internet, how do we stop them? Google has ‘a terrible problem’ with its search algorithm being manipulated by the far right, said data scientist Cathy O’Neil [Image: Yui Mok/PA]. Bizarrely, this manipulation by right-wing hate-propagandists could have a beneficial effect – Google may end up employing human editors to ensure the company evades any… legal entanglements. But the issue of fake news is huge. Tom Watson may have made a fool of himself, attacking The Canary for no very good reason, but there is a serious point here. If right-wing manipulators are spreading disinformation, they are to be countered – or people will make political decisions based on this nonsense and who knows where we’ll end up? The article states that Jonathan Albright, assistant professor of communications at Elon University, North Carolina, said right wing websites had launched a new “information war”, and were winning. His research has shown that fake news and information is a far bigger structural problem than had been previously realised. He has mapped a “vast satellite system that is encroaching on the mainstream news system”. Websites propagating extreme right wing propaganda have thrown out thousands of hyperlinks that connect to each other and to mainstream news sources, such as YouTube and Facebook, and he says they “are growing in strength and influence every day”. 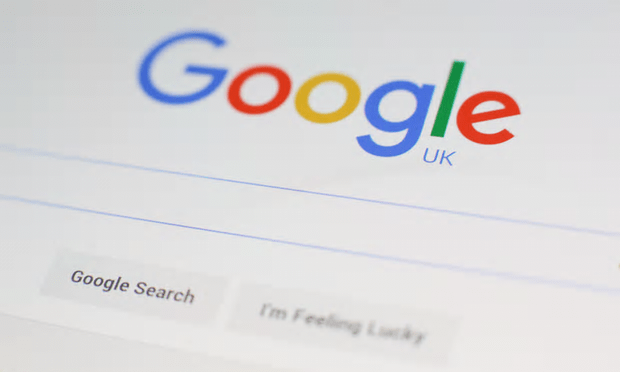 Google must urgently review its search ranking system because of “compelling” evidence that it is being “manipulated and controlled” by rightwing propagandists, leading academics have said, after the Observer reported that hate sites are now dominating searches on Muslims, Jews, Hitler and women. Cathy O’Neil, a data scientist and the author of Weapons on Math Destruction, said that unless Google acknowledged responsibility for the problem, it would be a “co-conspirator” with the propagandists. “This is the end for Google pretending to be a neutral platform,” she said. “It clearly has a terrible problem here and it has to own and acknowledge that. Google had removed the lines suggesting that Jews and black people are evil and that blacks “commit more crimes”, but it is still suggesting Muslims were “bad” and that Islam “should be destroyed”. While Facebook has faced criticism in the wake of revelations about how the site had become a conduit for fake news, the problem facing Google is potentially even more intractable. Unfortunately most of the misinformation is actually created initially by Government in the hope of misleading and lying to their own population. Their media friends just copy and paste the Government lies and misinformation. If the Governments were to first start publishing and stating the real truth instead of false political propoganda many of the challenging anti sites would not be necessary. One only has to look at the reader responses on the Daily Mail on-line site which are in the main not monitored by DM staff, to see how the hate is spread. I go on there occasionally in fifth column mode, just to annoy those who continually post without engaging a brain cell in order to spread their hate. And I meet with plenty of abuse. But if even newspapers don’t bother to filter out blatant racism and lies, then I’m not sure how Google etc. will be able to tackle it. But perhaps it’s a question of political will? The Daily Mail of course has only one political aim, as most people know. My relatives in the US say they have just seen a president elect rising to power because of the unmitigated lie machines prowling the system there.